Oakley Sunglasses Sliver XL OO9341-05 Polished Black Black Iridium has taken the massively popular Sliver model and given it an extended lens height for those with a larger head and for better downward views. The sleek look still prevails with the sculptured temples and keyhole bridge look in full effect. Oakley Sunglasses Holbrook Metal OO4123-02 Matt Black Positive Red Iridium the bestselling Holbrook has been crafted with lightweight sheet metal for this Holbrook Metal style with all the best features and shape of the original. Oakley Sunglasses Frogskins Polished Black Grey 24-306 a re-run of the very first Oakley dual-lens sunglass the Frogskins are limited edition specials that are in high demand and often collectors models. Unusual colours and funky combinations make these much sought after. Oakley Sunglasses Fives Squared OO9238-18 Polished Black Prizm Shallow Water Polarized are in our opinion classic design and sweeping styling make the Oakley Fives sunglasses a firm favourite. Peripheral clarity and wide vistas push the boundaries of traditional eyewear whilst bringing impact protection for the smaller - medium sized face. This is also one of the cheapest in the Oakley range which gives you the high quality of Oakley for a bargain price. This is the updated version of this model which features Unobtanium nose pads for a secure fit that increases grip with perspiration. Oakley Sunglasses Latch OO9265-01 Matt Black Grey are a brand new model from the Oakley lifestyle range that's inspired by influential athletes. The round shape and keyhole bridge provides a retro feel to a truly contemporary design. The lightweight O Matter frame is durable, comfortable and suitable for small to medium faces. Latch has a convenient clip hinge mechanism that inspires the name and enables you to attach the eyewear on to your shirt to help them stay in place when the sun goes down. Oakley Sunglasses Frogskins LX OO2043-14 Erik Koston Matt Camo Green Black Iridium a re-run of the very first Oakley dual-lens sunglass the Frogskins are limited edition specials that are in high demand and often collectors models. Unusual colours and funky combinations make these much sought after. This is a brand new LX version featuring hand-made acetate and sturdier metal hinges. Oakley Sunglasses Fives Squared 9238-06 Polished Black Black Iridium Polarized are in our opinion classic design and sweeping styling make the Oakley Fives sunglasses a firm favourite. Peripheral clarity and wide vistas push the boundaries of traditional eyewear whilst bringing impact protection for the smaller - medium sized face. This is also one of the cheapest in the Oakley range which gives you the high quality of Oakley for a bargain price. This is the updated version of this model which features Unobtanium nose pads for a secure fit that increases grip with perspiration. 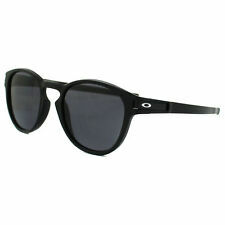 Oakley Enduro Sunglasses - Shaun White Signature Series - Matte Black - 24K Iridium. Lens - 24K Iridium. Light Conditions - Bright Light. Lens Category - 3. We will always endeavor to ensure you receive the parcel as soon as possible. Oakley Sunglasses Catalyst OO9272-08 Black Ink Warm Grey are new vintage inspired sunglasses from the lifestyle range that create an on trend look with their semi keyhole bridge and angular lens design. The O Matter frame is lightweight and durable and also features Oakley's three point fit for added comfort. Unobtainium earsocks and nosepads increase grip with perspiration, making these the perfect choice for all day use. Oakley Sunglasses Latch OO9265-29 Matt Black Prizm Ruby are a popular model from the Oakley lifestyle range that's inspired by influential athletes. The round shape and keyhole bridge provides a retro feel to a truly contemporary design. The lightweight O Matter frame is durable, comfortable and suitable for small to medium faces. Latch has a convenient clip hinge mechanism that inspires the name and enables you to attach the eyewear on to your shirt to help them stay in place when the sun goes down. Oakley Sunglasses Flak Draft OO9364-01 Polished Black Grey feature a single trigger for easy lens changing, and integrated ventilation for anti-fogging. The semi-rimless frame helps give a large field of view and Oakley's usual technical excellence give a strong frame, high precision lenses and a lightweight comfortable fit. Oakley Sunglasses Fives Squared 9238-04 Polished Black Grey are in our opinion classic design and sweeping styling make the Oakley Fives sunglasses a firm favourite. Peripheral clarity and wide vistas push the boundaries of traditional eyewear whilst bringing impact protection for the smaller - medium sized face. This is also one of the cheapest in the Oakley range which gives you the high quality of Oakley for a bargain price. This is the updated version of this model which features Unobtanium nose pads for a secure fit that increases grip with perspiration. Oakley Fuel Cell Sunglasses - Ferrari Matte Black - Ruby Iridium. That’s what led to Oakley Fuel Cell™. Lens - Ruby Iridium. Temple Arm Length - 130mm. Key Features. Contrast - Neutral. Fit - Standard. Oakley Sunglasses Flak Beta OO9363-02 Polished Black Black Iridium are a lightweight model from the Trillbe collection designed for small to medium faces with a softly rounded front, classic vintage keyhole bridge shape and sculptured stems. Oakley's 3-point fit gives a comfortable optically correct fit and the lightweight O Matter frame is strong and durable. Oakley Sunglasses Trillbe X OO9340-02 Polished Black Ruby Iridium are a lightweight model from the Trillbe collection designed for small to medium faces with a softly rounded front, classic vintage keyhole bridge shape and sculptured stems. Oakley's 3-point fit gives a comfortable optically correct fit and the lightweight O Matter frame is strong and durable. Oakley Sunglasses Holbrook Metal OO4123-01 Matt Black Grey the bestselling Holbrook has been crafted with lightweight sheet metal for this Holbrook Metal style with all the best features and shape of the original. Oakley Sunglasses Frogskins 9013-10 Black Ink Chrome Iridium Polarized a re-run of the very first Oakley dual-lens sunglass the Frogskins are limited edition specials that are in high demand and often collectors models. Unusual colours and funky combinations make these much sought after. Lens - Black Iridum. If you do not have these details available then pass on as much information as possible on a covering letter. We will always endeavor to ensure you receive the parcel as soon as possible. Oakley Sunglasses Frogskins OO9013-C9 Black Ink Prizm Ruby are a re-run of the very first Oakley dual-lens sunglass the Frogskins are limited edition specials that are in high demand and often collectors models. Unusual colours and funky combinations make these much sought after. Oakley Sunglasses Flak 2.0 OO9295-01 Matt Black Black Iridium are from Oakley's sport collection and feature high definition optics in a durable yet lightweight O Matter frame and the semi rimless design ensures that the downward view is never blocked. The unobtainium earsocks and nosepads increase grip with perspiration guaranteeing that they stay in place all day and in all conditions. Oakley Sunglasses Stringer OO9315-01 Matt Black Grey takes its name from the centre line down a surfboard, and the curved shape and rounded lenses take their inspiration from the clean shapes of a surfboard. The lightweight O Matter frame is classic Oakley with the 3 point fit and optically precise HDO lenses. Oakley Sunglasses Flak 2.0 OO9295-08 Black Ink OO Red Iridium Polarized are from Oakley's sport collection and feature high definition optics in a durable yet lightweight O Matter frame and the semi rimless design ensures that the downward view is never blocked. The unobtainium earsocks and nosepads increase grip with perspiration guaranteeing that they stay in place all day and in all conditions. Oakley Sunglasses Trillbe X OO9340-03 Black Ink Violet Iridium Polarized are a lightweight model from the Trillbe collection designed for small to medium faces with a softly rounded front, classic vintage keyhole bridge shape and sculptured stems. Oakley's 3-point fit gives a comfortable optically correct fit and the lightweight O Matter frame is strong and durable. Oakley Sunglasses Flak 2.0 OO9295-07 Polished Black Black Iridium Polarized are from Oakley's sport collection and feature high definition optics in a durable yet lightweight O Matter frame and the semi rimless design ensures that the downward view is never blocked. The unobtainium earsocks and nosepads increase grip with perspiration guaranteeing that they stay in place all day and in all conditions. Oakley Sunglasses Catalyst OO9272-02 Polished Black Black Iridium are new vintage inspired sunglasses from the lifestyle range that create an on trend look with their semi keyhole bridge and angular lens design. The O Matter frame is lightweight and durable and also features Oakley's three point fit for added comfort. Unobtainium earsocks and nosepads increase grip with perspiration, making these the perfect choice for all day use. Oakley Sunglasses Latch OO9265-21 Valentino Rossi Matt Black Chrome Iridium are a new model from the Oakley lifestyle range that's inspired by influential athletes. The round shape and keyhole bridge provides a retro feel to a truly contemporary design. The lightweight O Matter frame is durable, comfortable and suitable for small to medium faces. Latch has a convenient clip hinge mechanism that inspires the name and enables you to attach the eyewear on to your shirt to help them stay in place when the sun goes down. Oakley Sunglasses Holbrook Metal OO4123-10 Moto GP Matt Black Prizm Sapphire the bestselling Holbrook has been crafted with lightweight sheet metal for this Holbrook Metal style with all the best features and shape of the original. Oakley Sunglasses Latch OO9265-30 Matt Black Prizm Sapphire are a new model from the Oakley lifestyle range that's inspired by influential athletes. The round shape and keyhole bridge provides a retro feel to a truly contemporary design. The lightweight O Matter frame is durable, comfortable and suitable for small to medium faces. Latch has a convenient clip hinge mechanism that inspires the name and enables you to attach the eyewear on to your shirt to help them stay in place when the sun goes down. Oakley Frogskins LX Sunglasses - Dark Grey Tortoise - Black Iridium. Lens - Black Iridium. Contrast - Neutral. We will always endeavor to ensure you receive the parcel as soon as possible. Rate of Transmission - 10%. 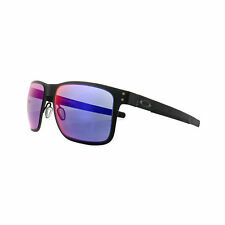 Oakley Sunglasses Latch OO9265-06 Matt Black Violet Iridium are a brand new model from the Oakley lifestyle range that's inspired by influential athletes. The round shape and keyhole bridge provides a retro feel to a truly contemporary design. The lightweight O Matter frame is durable, comfortable and suitable for small to medium faces. Latch has a convenient clip hinge mechanism that inspires the name and enables you to attach the eyewear on to your shirt to help them stay in place when the sun goes down. Oakley Sunglasses Catalyst OO9272-04 Polished Black 24K Iridium are new vintage inspired sunglasses from the lifestyle range that create an on trend look with their semi keyhole bridge and angular lens design. The O Matter frame is lightweight and durable and also features Oakley's three point fit for added comfort. Unobtainium earsocks and nosepads increase grip with perspiration, making these the perfect choice for all day use. This elegant full-rim model reflects the latest trends in contemporary designer eyewear and its wayfarer shape makes Oakley OO9013 the perfect choice especially for round, oval and heart-shaped faces. Oakley Sunglasses Sliver XL OO9341-07 Matt Black 24K Iridium has taken the massively popular Sliver model and given it an extended lens height for those with a larger head and for better downward views. The sleek look still prevails with the sculptured temples and keyhole bridge look in full effect. Oakley Frogskins LX Sunglasses - Matte Black - Ruby Iridium. Lens - Ruby Iridium. Lens Category - 3. Contrast - Neutral. Rate of Transmission - 17%. We will always endeavor to ensure you receive the parcel as soon as possible. Oakley Sunglasses Catalyst OO9272-07 Matt Black Ruby Iridium are new vintage inspired sunglasses from the lifestyle range that create an on trend look with their semi keyhole bridge and angular lens design. The O Matter frame is lightweight and durable and also features Oakley's three point fit for added comfort. Unobtainium earsocks and nosepads increase grip with perspiration, making these the perfect choice for all day use. Oakley Sunglasses Stringer OO9315-12 Lead Black Iridium takes its name from the centre line down a surfboard, and the curved shape and rounded lenses take their inspiration from the clean shapes of a surfboard. The lightweight O Matter frame is classic Oakley with the 3 point fit and optically precise HDO lenses. Oakley Sunglasses Stringer OO9315-09 Matt Black Ruby Iridium takes its name from the centre line down a surfboard, and the curved shape and rounded lenses take their inspiration from the clean shapes of a surfboard. The lightweight O Matter frame is classic Oakley with the 3 point fit and optically precise HDO lenses. Oakley Sliver R Sunglasses - Matte Black - Jade Iridium. Lens - Jade Iridium. Fit - Standard. We will always endeavor to ensure you receive the parcel as soon as possible. If you do not have these details available then pass on as much information as possible on a covering letter. UPC 888896553394. Material Acrylic. Réparateurs de Pitchmark. EAN 0888896553394. 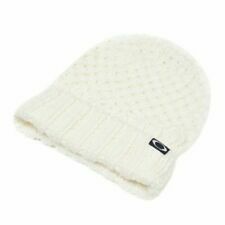 Style Beanie. Tableau des tailles. 100% Acrylique. POM s’adapter. Oakley Sunglasses Sliver XL OO9341-06 Polished Black Prizm Daily Polarized has taken the massively popular Sliver model and given it an extended lens height for those with a larger head and for better downward views. The sleek look still prevails with the sculptured temples and keyhole bridge look in full effect. Oakley Turbine Sunglasses - Polished Black - Prizm Daily Polarized. Along with clean lines of comfortably lightweight O Matter™ and a lens shape inspired by our popular Hijinx® sunglass, its durability and performance are perfect for both active and daily wear. Lens - Positive Red Iridium. Fit - Standard. We will always endeavor to ensure you receive the parcel as soon as possible. If you do not have these details available then pass on as much information as possible on a covering letter.